The RED ONE redefined digital cinema upon its arrival, democratizing 4K capture and challenging the status quo. Utilizing an S35mm image plane, the RED ONE displays a natural depth of field from 2K to 4.5K resolutions. Seize every moment with the ability to capture anywhere from 1-120 fps onto high-speed RED CF or SSD media. 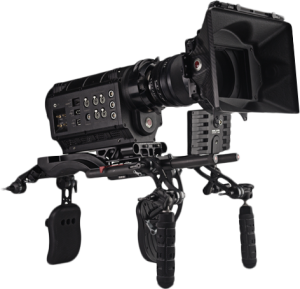 Interchangeable lens mounts and free firmware updates keep the RED ONE versatile, letting you and your equipment thrive on the cutting edge. A revolution always starts with ONE.